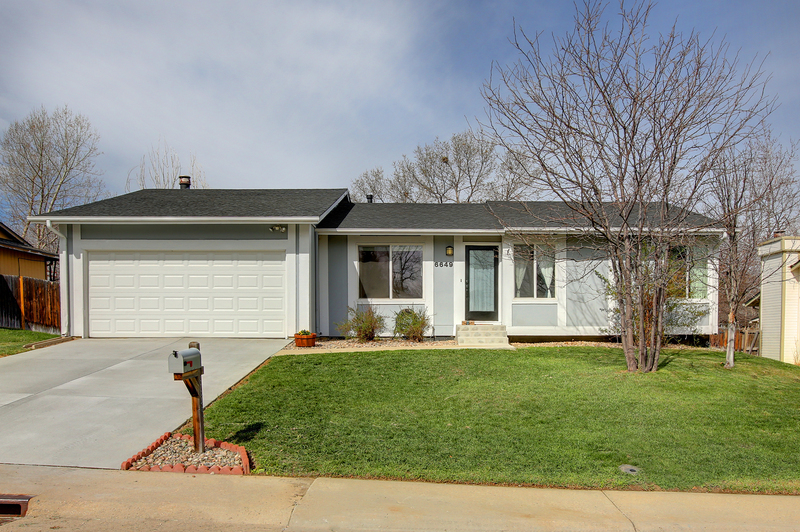 Absolutely adorable remodeled ranch home that boasts 4 bedrooms, 3 bathrooms & a main floor study! Recently refinished maple & walnut hardwood floors throughout & a brand new driveway (2018). Absolutely adorable remodeled ranch home that boasts 4 bedrooms, 3 bathrooms & a main floor study! Recently refinished maple & walnut hardwood floors throughout & a brand new driveway (2018). Other upgrades include: completely remodeled bathrooms, newer roof & newer windows. The kitchen is completely remodeled with newer cabinetry, granite countertops, backsplash, stainless steel appliances & bonus pantry. All appliances included + washer/dryer. Open kitchen to family room concept. True master bedroom with his/her closets, master bathroom with two sink vanities, large walk-in shower & linen closet. Study/den off entry could be 5th bedroom. Guest bedroom with ensuite bathroom. Two secondary bedrooms & full bathroom complete the space. Large utility shed in backyard allows for great storage. Two car attached garage with attached shelving. Concrete patio off family room & a large fenced yard allows for lots of outdoor space to enjoy. This home is a must see!